In computer systems, Internet Service Providers (ISP) typically describe bandwidth as a data transfer rate. Specifically, it is the amount of data that the network can transport from one area to another during a particular timeframe. The time specified is usually one second. Nowadays, most ISP refer to this type of bandwidth as Kilobits per Second or kbps, Megabits per Seconds or mbps. In some cases, when more bandwidth is required, some providers will require Gigabits per Seconds or Gbps. Furthermore, a high bandwidth link can transport enough data to display heavy content such as live video event, video streaming, cloud hosting, popular websites and much more. In the hosting industry, providers also use the word “bandwidth” when they are describing the traffic used by services such as cloud hosting and dedicated server over the course of a month. To calculate a client’s bandwidth needs, most providers estimate the terabyte, or TB, amount. TB is the amount of data that a company moves in and out of the network per month for a specific dedicated server. 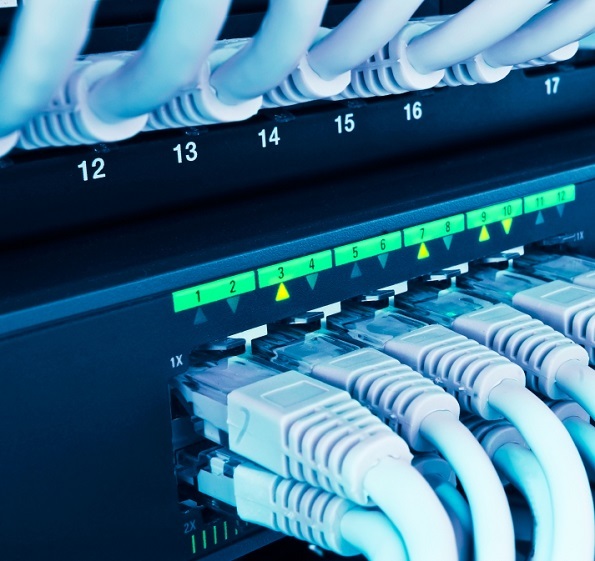 Keep in mind that hosting providers connect the dedicated server to their network with routing equipment to other networks. Customer’s dedicated servers are normally connect to the hosting provider infrastructure with switches. In addition, the switches will have a port size that measures from 100 Megabits per Second, or Mbps, up to 10 Gigabits per Second or Gbps. Port size can be a factor when the hosting provider offers you access to an unmetered dedicated server because your network will be able to use more bandwidth with a larger port size. Furthermore, the term “unmetered” is restricted by the port size. Bandwidth regulates the amount of data that a dedicated server can deliver to and from the internet. For most companies, 10 TB of monthly bandwidth allotment is large enough to transfer the data that they are using, but some companies will require more. They may also need a bigger port size. For example, datacenters typically require multiples of 10 Gbps of uplink to provide service to a large number of customers while a smaller website owner should be able to serve their visitors with a 100 Mbps port. If you are not sure on what option would be best for you, make sure to ask your next hosting provider for a second look on the matter. Some hosting providers may use the 95th percentile to estimate a network connection’s regular and continuous use. The ISP will sample the current client bandwidth use at a set cycle. Every 5 minutes per example. Afterward, 5%( approx. 36 hours in a month) of those samples will then be excluded to remove peaks of traffic that might have occur. This method will saves money to clients that has subtain a few peaks of traffic out of the ordinary. Keep in mind that providers typically use the billing method for corporate networks or clients with large bandwidth requirement. In choosing your dedicated server, be sure to consider the location, available power and server security. The server environment is another important factor as the proper atmosphere may result in equipment that lasts longer and functions more consistently. When you select the proper bandwidth for your dedicated server, your company’s operations are more likely to function reliably.